I was browsing around in Westfield London and as I walked past RITUALS' shop the smell drew me in. The shop has a sink to allow customers to test the products in store, which I think is a great idea. So I got to play with many products before deciding on what to buy. It can be very hard to choose as they have some amazing scents and a huge variety of products but I instantly fell in love with the RITUALS Indian Rose & Sweet Almond Oil line. My skin is usually on the dry side but it gets even worse this time of the year and I have to admit I can be a little lazy at applying body moisturiser sometimes, especially if I'm in a hurry. So when it comes to shower products, I tend to favour those that are hydrating. When I tried the Shanti Shower Oil (200ml for £8.50) I was quite impressed with the smooth texture and the fact it leaves the skin feeling slightly moisturised after use. I thought "this is the one"! I can now have a lovely shower and rush to work without feeling so guilty for not applying moisturiser because this oil leaves my skin feeling soft and it has been much less dry since I started using this. Plus the smell is amazing!! I'm sure this would please everyone. It's sweet, without being over powering. Unfortunately, like any other shower product I've tried, the smell only lingers for about an hour or so. But I imagine that if I paired this with the moisturiser of the same line, I'd be smelling like roses for a long time. I also got intrigued by the Yogi Flow Foaming Shower Gel (200ml for £8.50). 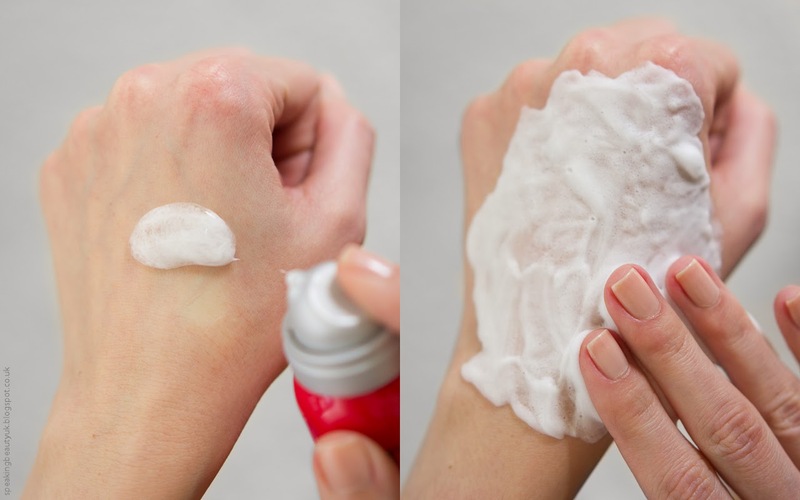 Just like a traditional shaving foam, this comes out of the tube as a gel and turns into a foam as you rub it in. So I grabbed a small version just to try it out. The 50ml size is also quite useful for travelling and can be purchased for £4 (here). 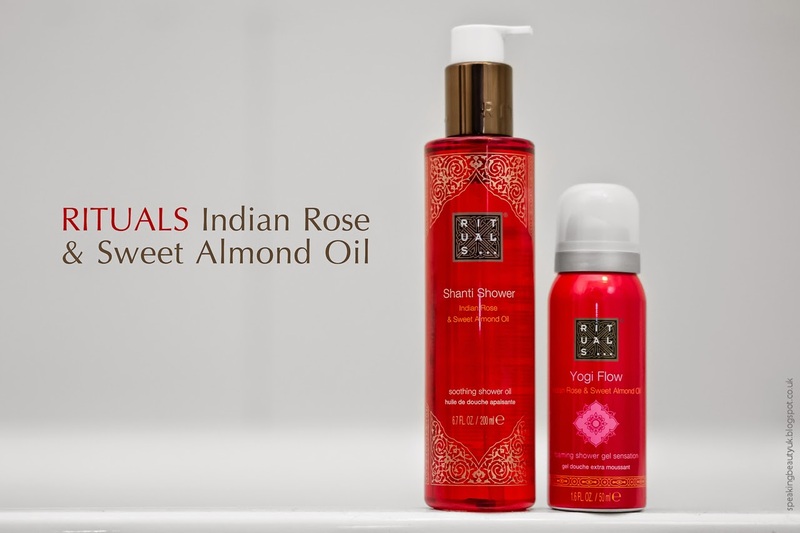 Although the names are different, both products have the same incredible Indian Rose & Sweet Almond Oil scent. The Shower Foam is quite fun and I feel it will probably last longer than the oil, as a little goes a long way. However, the Shanti Shower Oil is more moisturising and that's why I prefer it in comparison to the foaming gel. Overall, I love these products. Rituals has a huge range that includes, moisturisers, bath foam, scrubs and even home products like fragrance sticks, card perfumes... you name it. I'm seriously tempted to go back and buy more stuff from this line. *Disclaimer: This post is NOT sponsored. All comments are my own and honest opinion.